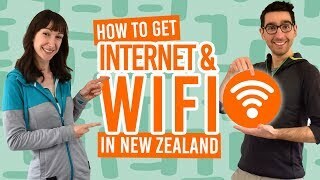 What to do in Queenstown at night? 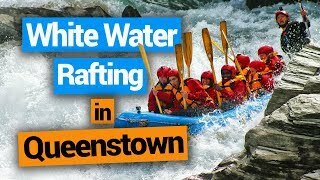 Queenstown has a lot to do during the day – A LOT! But when the sky gets dark and all the attractions start to close, what’s next?! Well, it turns out that the fun doesn’t have to end after dark. In fact, you still have a great deal of things to do in Queenstown at night! Queenstown’s night activities go well beyond getting stupid in the “Party Capital”. There are actually many night activities in Queenstown to really make the most of your time in the lakeside town. 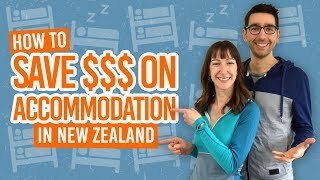 Whatever you decide, be sure you have somewhere to stay at the end of the night be checking out these 10 Best Budget Accommodation in Queenstown and 10 Best Backpacker Hostels in Queenstown. Let’s get straight to the obvious! Queenstown is dubbed as the “Party Capital” of the South Island and for good reason. Every street has a bar or club suiting all party types, whether it’s a casual drink with your travel buddies or somewhere to dance until the early hours. We’ve listed all the hot spots in our Guide to Queenstown Nightlife. 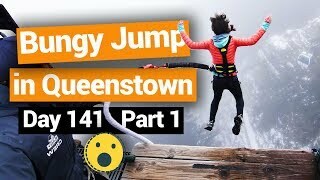 It can be pretty tiring doing all the adrenaline and adventure activities in Queenstown! A great place to escape for the night are the Onsen Hot Pool, which are open until 11pm. Ease your body in your own private pool looking out to some stunning alpine scenery on the Shotover Canyon. Location: Arrow Point. Complimentary shuttles are available. During the winter months, take the leap from The Ledge Bungy on Bob’s Peak. You’ll get an unique perspective of the Queenstown lights while free-falling 47m. For more bungy jump options in New Zealand, see 7 Epic Places to Bungy Jump in New Zealand. Location: Top of the Skyline Gondola at Bob’s Peak. Another winter-only night activity in Queenstown, Coronet Peak hosts night ski sessions on Wednesday, Friday and Saturday nights. Follow the trails lit up by flood lights and enjoy the apres ski atmosphere in the Coronet Peak cafe. Learn more about the New Zealand ski season here. Ok, so we’re not winning the idea of the century with this one, but why not go out for dinner?! Queenstown has heaps of restaurants with both Kiwi and international flavours to try. Try an over-sized burger at Fergburger or Devil Burger, or how about a deep-fried Kiwifruit at Erik’s Fish & Chips. Take your takeaway to Perky’s Floating Bar on the Queenstown Wharf, which is a B-Y-O food bar. For more ideas (while saving the cents) see our recommendations in Cheap Eats in Queenstown. Get in a go-kart and hit the Game Over track! Game Over in Frankton teams as an evening and rainy day activity in this indoor entertainment centre. 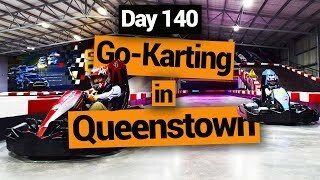 Enjoy go-karting, laser tag and heaps of arcade games. Game Over is open until 7pm. Get an insight into the traditional Kiwi lifestyle on a tour to Walter Peak, a high country farm isolated on the other side of Lake Wakatipu from Queenstown. Board the TSS Earnslaw that has been ferrying the waters of Lake Wakatipu since 1912. At Walter Peak, you’ll be treated to a Kiwi barbecue, as well as a sheep farm show before departing back to Queenstown. Note: tour does not run during June and July. Location: Real Journeys office, Steamer Wharf, Queenstown. On a clear night, the stars seen from Queenstown are astonishing. Skyline Queenstown offers stargazing tours to make use of their high-powered telescope atop the Skyline Gondola. Alternatively, hit the road away from the lights of town and watch as the skies get clearer for stargazing. In winter, Queenstown is also a often seeing displays of the Southern Lights, a.k.a. Aurora Australis. Location: Skyline Gondola or outside Queenstown. Get a different sort of adrenaline rush in Queenstown at the Fear Factory. This late night haunted house activity challenges you to make it through the hallways of horror all the way to the end. Many have chickened out. Will you? This venue is open until 11pm. Make your way through room after room of illusions, quirky physical obstacles and challenges, lighting effects, scents, sound effects and just plain weirdness. Odyssey Sensory Maze is open until 10pm. Location: Odyssey Sensory Maze, 57 Shotover Street, Queenstown.